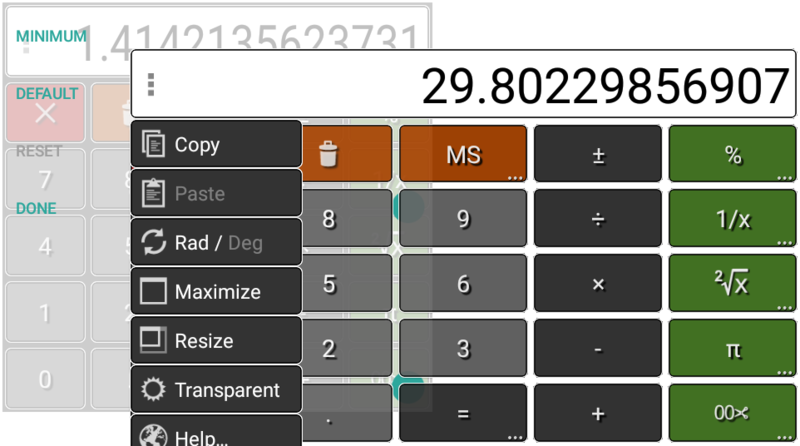 New versions of Floating Calculator and Floating Calculator Free are available on Google Play. Code of the programs was significantly rewritten. A lot of fixes and improvements were made, including ability to resize the window. In honor of this event, the price of full version will be reduced by half for two weeks. The offer is valid from February 23 till March 8 of 2015.